Erasmus Society is a student group that aims to provide support to everyone who is involved in studying abroad and involved in the exchange scheme. 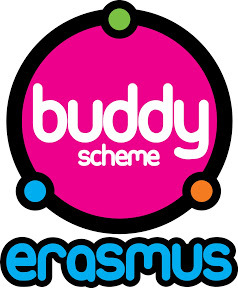 Not only is the group extremely active in organising trips, and parties, but also run a great annual Buddy Scheme which you can get involved in. The scheme involves recruiting current students from the University of Southampton and pairing them with international student in order to help them have a smooth arrival. It’s a great scheme where you will be able to practice a language with a native speaker, experience new food, and new culture whilst showing an international student the wonders of Jesters, the right uni-link bus to West Quay, and maybe even try out the new diner on campus together! If you’re feeling nervous about not knowing what to do with your buddy, then don’t worry because Erasmus Society organise lots of exciting activities and event. It’s probably something you’ve never done before but why not try something new! You might end up finding that Erasmus Society is a student group that you’d like a bigger involvement in, or that you want to study a year abroad, or perhaps you’ll find that you have just made a friend! Are you interested in studying a year abroad? If so, then this is a great scheme to introduce you to the exchange experience. You will have a better understanding of how the scheme works, help an international student have a better experience at Southampton, and play a role in Erasmus society. If you have already had a year abroad, then you will know how nerve wrecking it can be studying in a foreign city. Why not help an international student settle into the University of Southampton the way you would have liked to have been helped when you were on your year abroad?